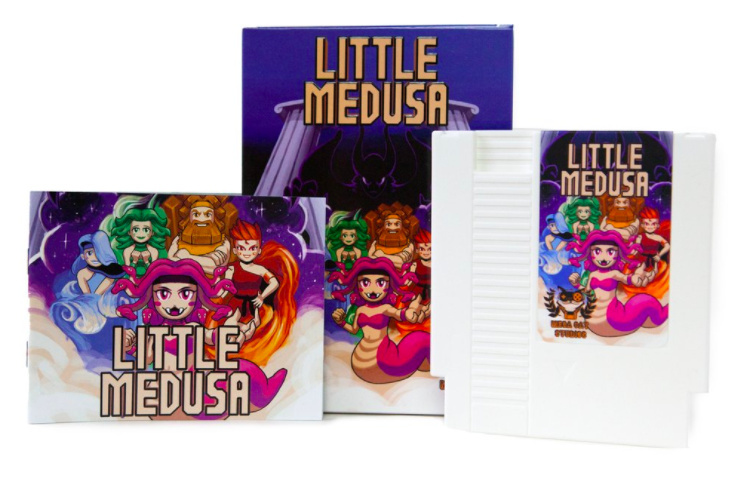 "We're really, really excited to be part of this retro renaissance"
Mega Cat Studios might not be a household name at present, but the company has been doing some incredible work in the realm of homebrew games development and has produced multiple physical NES carts over the past few years. We say down with Zack Manko, Mega Cat co-founder, to chat about the challenges of creating homebrew games for vintage systems, and the company's plans for the future. Nintendo Life: What inspired you to establish the studio, and what are you core goals? Zack Manko: We've all been doing contract development for most of our professional lives. Some of us were in enterprise development, some with games, and others just hopping freelance gig to gig. If we're going to take chances, we may as well do it now rather than later. What many people are involved with Mega Cat Studios? Zack Manko: Contract game development still takes up half of our bandwidth, and we're incredibly lucky that we can work on bringing some of our own projects to life with the other half. Split across all teams, we have around 20 full time team members, and about double that with subcontractors and freelancers! Talk us through the typical process for creating a game, from conception to physical production - how long does it take and how many steps are involved? Zack Manko: This definitely varies game by game, and it's an ever-evolving process for us. We have some great standardized processes now that would have removed months of pain otherwise. The game design process is the most important, just like any current generation game. With retro platforms, you have to budget additionally for graphical optimization, scan line limitations, organizing art into different banks strategically for development later, and physical production. People always ask us at events how we can possibly sustain ourselves making new games for old consoles, and I always tell them the truth: Anyone who's made a game for old consoles after the original commercial life cycle came to an end did it because they genuinely love the platforms. The look and feel, the limitations and challenges, and all of the nostalgia that's at the base of retro gaming. As long as we're around, we're always going to be working on these platforms, but to make it a scalable company with some forecastable stability, we will be making modern platform ports. You've produced titles for the NES and Genesis so far - do you have plans for any other classic systems? Zack Manko: We have two SNES games that have been going through testing and development to be released in 2018! What would you say are the biggest challenges when it comes to creating homebrew software? Zack Manko: You can't patch a physical cartridge after it's shipped! The modern conveniences of hot fixes, regional updates, and game improvements aren't on the table when you're shipping a physical good. What has been your proudest Mega Cat moment so far? Zack Manko: My proudest Mega Cat moment so far has been at one of our volunteering events. We've set up locally at some Carnegie Science Center/Carnegie Museum, and use it as a fun opportunity to share our projects with the community, non-gamers, casual gamers, and anyone in between. I like to think that 8-year-old Zack would high-five 30-year-old Zack. Giving 30-year-old Zack a chance to talk to actual 8-year-olds about working an and independent game development studio is genuinely fulfilling. Coffee Crisis is one of your most notable projects; what was the process for creating this game? Zack Manko: We're incredibly lucky, and thankful, that we have some great supporters that share our vision for awesome games with a retro aesthetic. 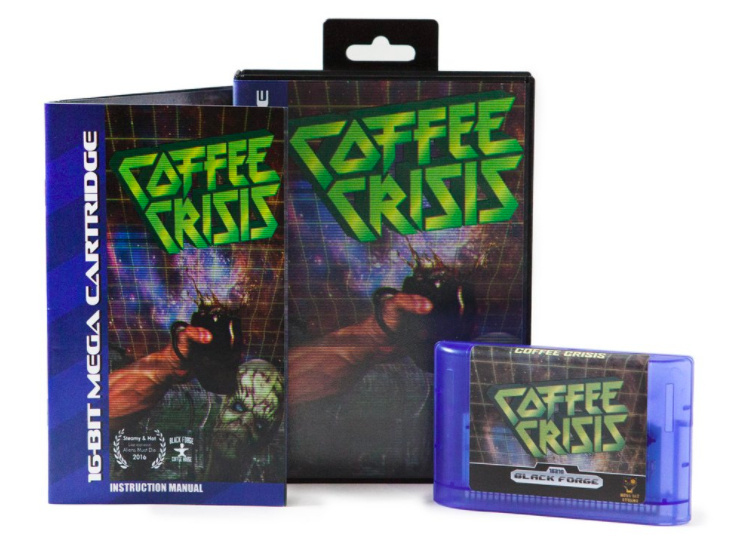 Coffee Crisis was the first game we released for the Sega Genesis. The original plan was to do something we loved (making a new game for one of our favourite consoles) for a good cause (raising money for a small, local business, with a awesome niche: A metal-themed artisan coffee shop). We offered to do it for free, and dove right in! A few months down the pipeline, the game scope continued to increase in scope, along with costs. Donating $10,000 of labor, as well as any other opportunity costs for a small team was a huge amount for us. On the other side of it, we didn't want to leave this huge amount of effort as a sunk cost. We put up our first Kickstarter, crossed our fingers, and inched over our goal. The Kickstarter support was awesome! A game about a small, local coffee shop where aliens come down to steal three of Earth's most precious resources: coffee, metal music, and WiFi, made for a 25-year-old console, from a brand new company name got funded. We owed it to everyone to circle back around, and redo the art level by level, the animations, and improve what we were going to deliver. We took to it with all hands on deck, and with less than a week before the Kickstarter closed, the developer for this project incurred some serious personal issues that would make him unavailable for at least weeks, if not months. The challenges continued as we had two other developers without any experience in this code base, or access to the custom optimisation tools used for the rest of development. All of the things that could go wrong, did, as we continued to burn capital trying to make this game work, respond to messages as to why the game is late, and ask for mercy. Pro tip: There's a reason any game company has a buffer for fulfilment time, and it's even more necessary for cartridge based platforms. Our fulfilment timeline was less than a month after the end of the Kickstarter campaign, and going back to square one with new assets meant an incredible amount of new work that had to be done. Without a timeline in sight for when the original developer would be well enough to resume, we shipped the best version the second, back up developer for that project could assemble, using only a fraction of the new assets. The retro community is really pretty incredible, and with few exceptions, enjoyed the game. Several weeks later, the original developer returned, unencumbered and eager to help. Despite losing our pants on the project with all of the new hurdles that appeared, we wanted to offer our fans something better, and give them the option to have new copies of the updated, redone, re-optimised, and improved game. We sent emails, Kickstarter messages, and went to work changing out version 1 cartridges. We had some really funny conversations with a lot of our backers, and only half of them even wanted the upgrade. If it was up to us, we'd have a scrap pile of destroyed Version 1 PCB boards melted down into bullets that I can shoot '2016 me' in the leg with. Retro gaming isn't just how we grew up, it's something we love dearly. It takes 2 to 3 times more effort to make a game for something that has 100x less commercial potential. It has a higher cost of goods, higher margin of error, and greater costs for quality control. It's something you do because you love it: pure, gaming for fun's sake. Black Forge Coffeehouse espouses community in the truest way. There's never a month that their calendar isn't packed. Their first location was funded by their own IndieGo campaign, and as any small business team member, or owner can relate, it's a 24/7 job. The food is locally sourced, the art is all independent, and the music is awesome. Graywalker, an awesome local metal band, seemed like a perfect fit to collaborate with. There's a reason that there weren't many awesome metal tracks on the Genesis, and it's a real challenge to make a cover like that translate to that medium. After getting to the other side with this game, and refilling any orders for any players/backers/supporters along the way, we can hold our head high that we saw the project through despite so many unforeseen road blocks. We created and improved internal processes with standardisation for source control, improved how we approach retro game design, and promised to make sure that we never again allow a game we're doing for free to expand its boundaries past some type of planned, communicated limitations. It's been much smoother sailing since then, and none of us will ever, ever, forget it. Challenges help teams come together, and we definitely did in every sense of the way. We decided that for the rest of the year, we'd give two copies of Coffee Crisis away for every one that was purchased. There are no words that can possibly express how elated and grateful we all are that this is mostly behind us, and that we've managed to move forward, learn, and improve. We live in a world which is becoming increasingly digital and consumers often choose to rebel against such trends. Do you see the market for physical games growing in the same way that vinyl is booming in the music industry? Zack Manko: The collector side of me says: "I sure hope so!" There are some incredible projects out there, now more than ever. Aftermarket consoles are widely available and affordable. 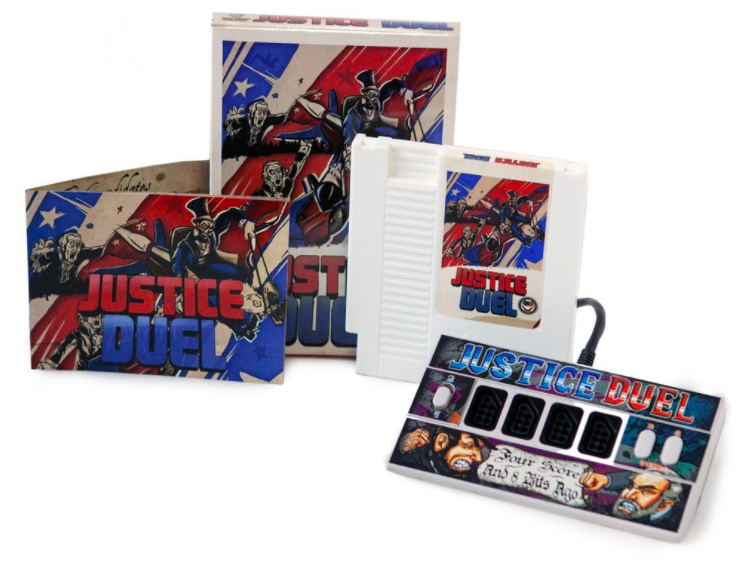 The art and gameplay is timeless, and no house should go without a cartridge-based console. There are SO many amazing projects and teams surfacing the last few years, it's incredible. Watermelon Co. is shipping Paprium soon, something I personally backed about four years ago, and would wait another four without hesitation to have it. The game looks amazing, and with the quality being so high in Pier Solar five years ago, I'm greatly looking forward to it. Retrotainment Kickstarted another beautiful looking NES game with Full Quiet, and the NES is just such a beauty. Analogue will be shipping their SNES console soon, and provide fans around the world another reason to have at least one console connected to every TV, in every room. We're really, really excited to be part of this retro renaissance! What plans do you have for the future? Will you be sticking to retro consoles or could we see Mega Cat Studios branch out into other realms? Zack Manko: After the Coffee Crisis was over, we picked ourselves up, dusted off and got to work on our PC games. We definitely have the capabilities, and are genuinely excited to bring some of our own games to market this January. It's amazing to live in a time where the barrier to entry is so low, games are plentiful and affordable, and Independent developers and studios can bring their ideas to life, and distribute them to the masses. Customer expectations are higher now than ever, and these elements combined make for a great time to love video games in all of their shapes and forms. Finally, do you have any message for the readers of Nintendo Life, and Nintendo fans in general? Zack Manko: From the depths of my being, thank you for an awesome year! The generosity, enthusiasm, and emails are even more impactful when you're going through what seems like Hell. Every picture of one of our followers sharing one of our games with your son/daughter/boyfriend/girlfriend/husband/wife, every note or mention thanks and happiness is what any Indie Developer wishes they had on tap. The community has been amazing to interact with, and we have some great projects under way that will be released in 2018. Spoiler: None of them involve the name Crisis, but one has a pretty cute Gorgon. We'd like to thank Zack for his time. You can check out Mega Cat's site here. I was unaware of their works, will investigate them at the first chance I get. Is Mega Cat Studios located in Mega Cat City? .... Bad joke was bad, but honestly this guy seems like an upstanding gent! I hope good fortune comes his way! Being from western pa, I love this company. I purchased almost hero from them and plan to buy more of there games soon! Having a retro gaming company in the Pittsburgh area is awesome! The second paragraph says,"We say down with Zach Manko.." Like DOWN WITH ZACH MANKO! I know what was meant but it was funny to me. Here's a video review of Mega Cat Studio's Coffee Crisis..